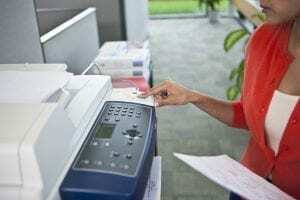 Powered by Xerox ConnectKey technology, the Xerox WorkCentre 7800i series is the ideal multifunction printer for demanding modern office environments. Through ConnectKey, users can connect and print from any mobile device, anytime. This means streamlined productivity that doesn’t wait for you to get back to your computer. We know security is a central concern for modern businesses. With ConnectKey, you don’t have to worry. The WorkCentre 7800i contains best-in-class security features including AES 256-bit hard drive encryption, McAfee Embedded security features, and encrypted secure print. 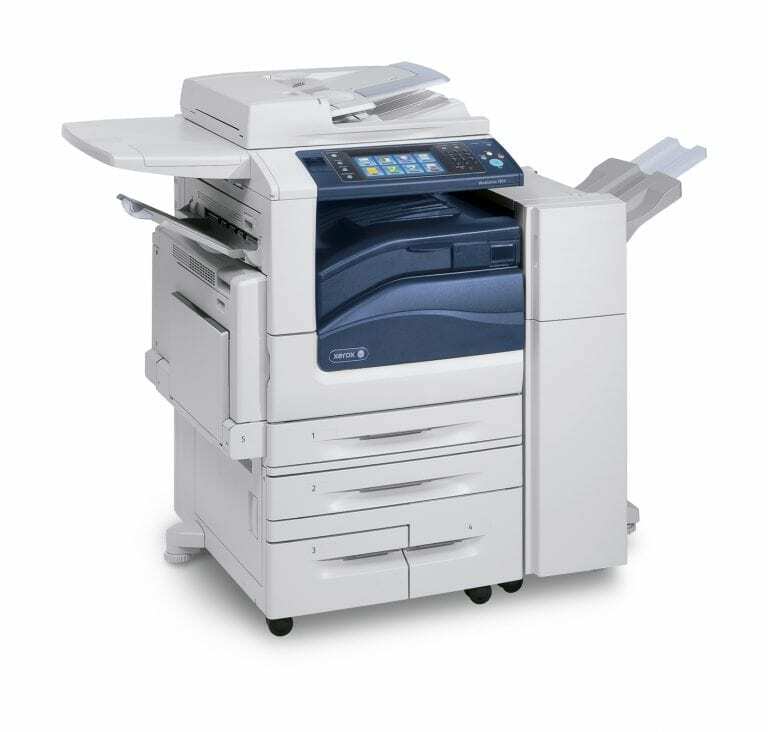 The WorkCentre 7800i series multifunction printer isn’t just a secure printing solution. The WorkCentre 7800i provides a scalable solution that has a productive capacity capable of meeting the needs of any modern office. With black-and-white printing speeds up to 55 PPM, and color print speeds up to 50 PPM, the WorkCentre 7800i series excels in even the most high-intensity printing environments. With a resolution output of 1200 x 2400 dpi, the WorkCentre 7800i series multifunction printer delivers quick, consistently high quality color prints. Duty cycle up to 300,000 images per month (WorkCentre 7855i). Print resolution up to 1200 x 2400 dpi. Scan resolution 600 x 600 dpi. 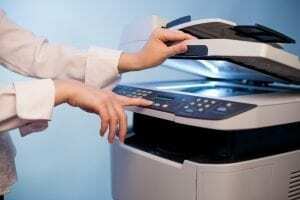 Xerox Standard Accounting Suite tracks Copy / Print / Scan / Fax / Email usage. Print from USB / Scan to USB. Printing speeds up to 55 PPM black-and-white (30 / 35 / 45 / 55 PPM), 50 PPM (30 / 35 / 45 / 50 PPM) color. Maximum paper size 11 x 17 in. Security features include network authentication, McAfee Embedded Security Suite, encrypted secure print. Total size with base configuration: 25.2 x 27.5 x 45.2 in.